The other day I attended a FURIFU fashion show They showed off some of their new designs. 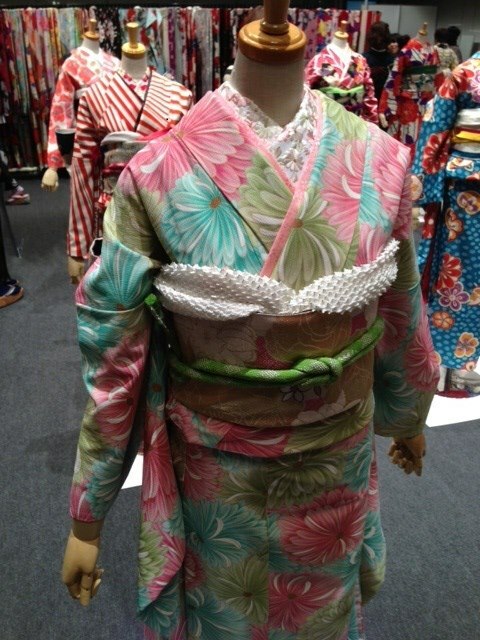 Furifu is one of the famous kimono brands targeting girls in their 20’s. 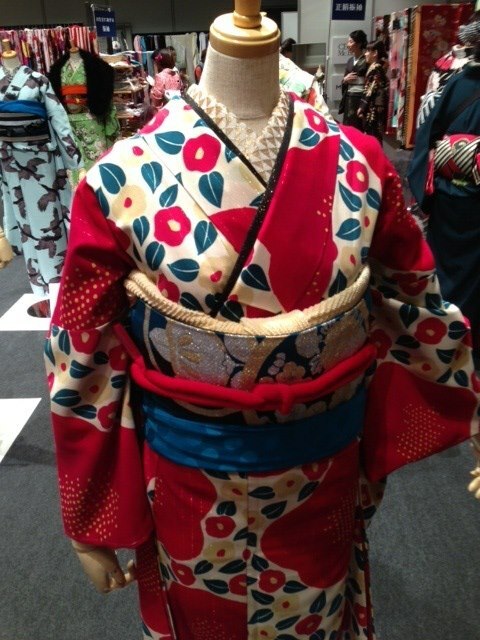 The theme of the show was Furisode, the most formal kimono which we seldom have the opportunity to wear usually. 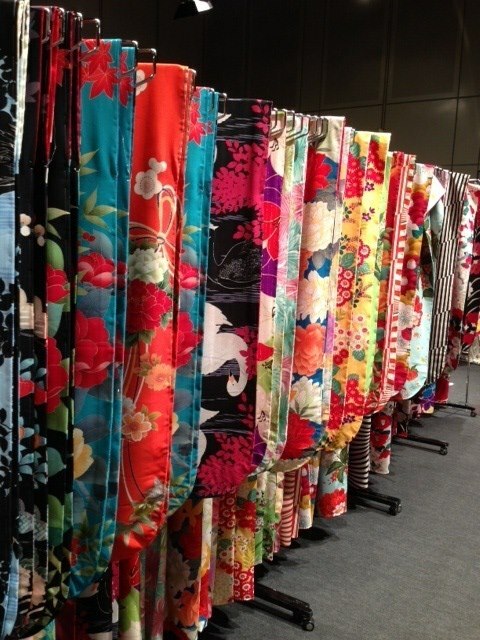 However, the colors and patterns were gorgeous; it was a very stimulating and enjoyable event! It would seem that there were many high school students that came to select a Furisode for their coming-of-age ceremony next year. 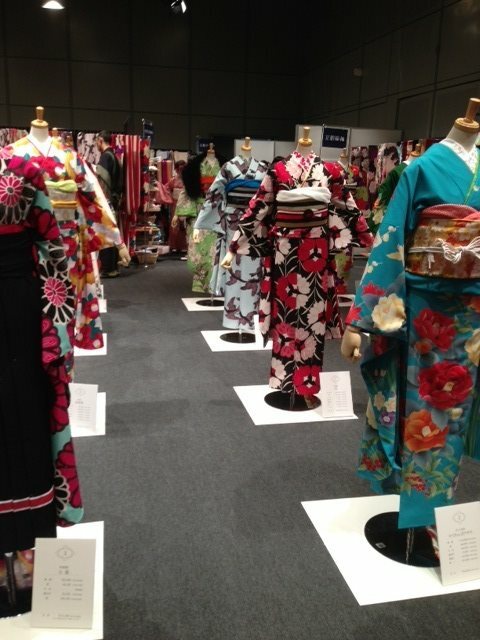 In fact, some of them were only seventeen and came to select a Furisode for their coming-of-age ceremony the year after next. 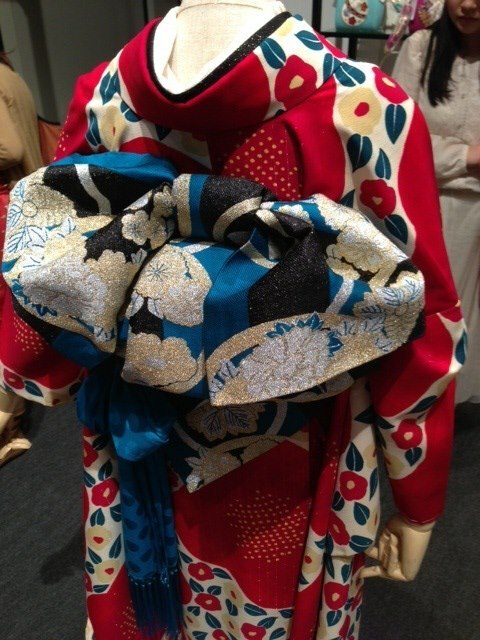 If you go to FURIFU’s web site, you will see that there are only exquisite Kimonos. 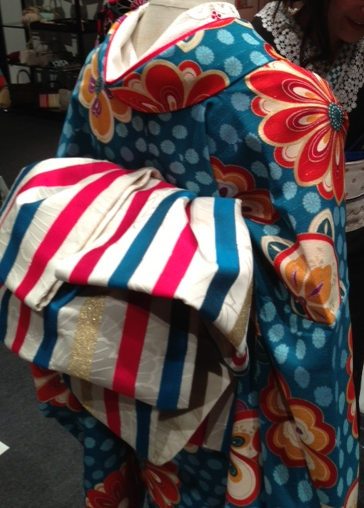 I couldn’t decide which was my favorite Kimono immediately (laugh). 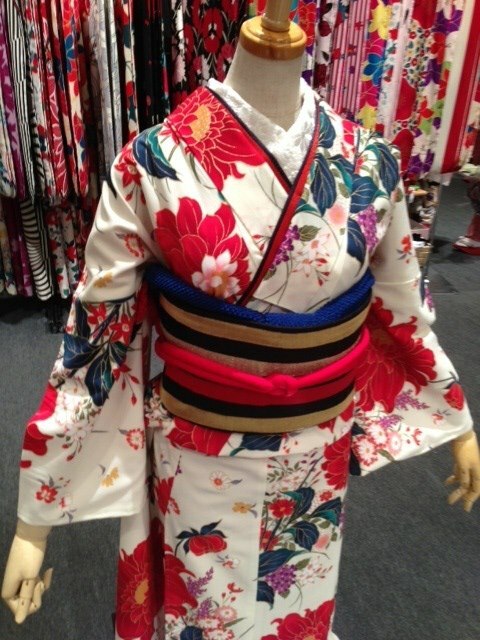 Actually, I tried on a Furisode and some Komono. 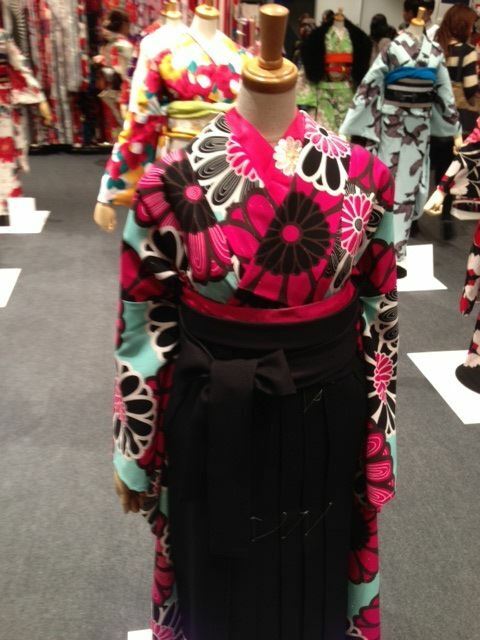 Actually, I bought one from many Kimonos. 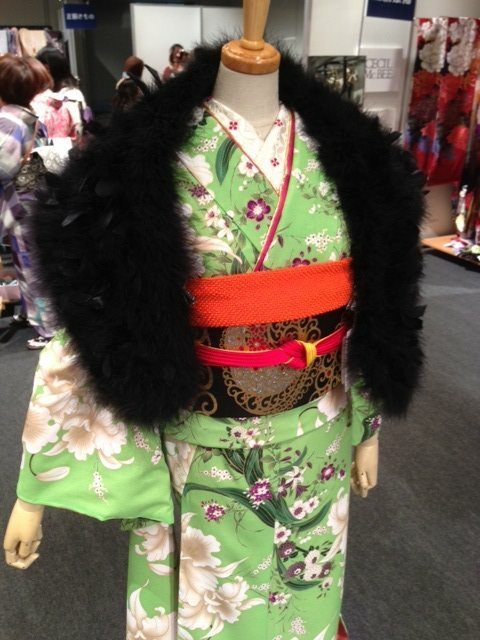 MIKOTO’s Coordinator chose the Kimono that the MC (master of ceremonies) is going to wear to the party in September. 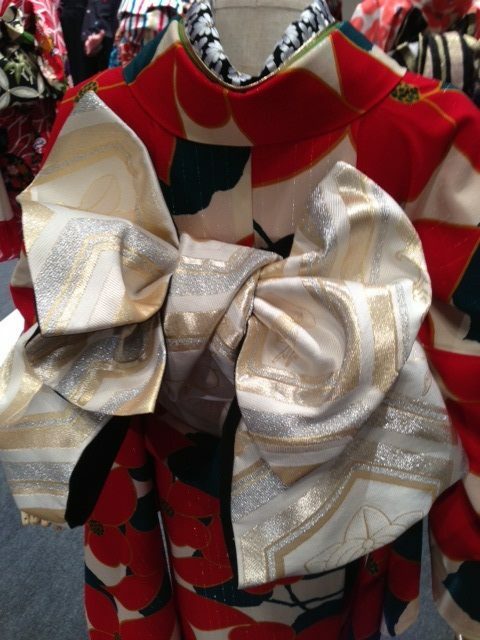 You will have to wait until the party to see this beautiful Kimono. I hope you enjoy my photos from the event. Hi yieldforkimono! Thank you for your comment! Actually we got the obi in the third picture:) It is really pretty though!! Hi moushifi, Thank you for your comment! I’m really glad you like them(^^) They were all really gorgeous! Hope you to visit their events next time! The third picture….wow, I would love to own that set haha. Gorgeous!